"The only mistake you're making is leaving without saying yes to my offer!" Leomark Studios has debuted an official trailer for an indie drama titled Just Say Goodbye, which premiered at the NewFilmmakers Film Festival in New York in 2017. The film is being released in conjunction with Mental Health Awareness Month this May. Just Say Goodbye tells the impactful and unforgettable story of a young woman trying to save the life of her suicidal friend. Max MacKenzie plays Jesse, a boy with plans to kill himself after years of abuse from his alcoholic father and a bully. But his friend Sarah, played by Katerina Eichenberger, cancels her summer vacation to try and stop him from doing this. With William Galatis, Jesse Walters, Pamela Jayne Morgan, Olivia Nossiff, Charlotte Cusmano Zanolli, & Kk Walulak. Watch below. After enduring years of abuse from his alcoholic father and the school bully Chase, Jesse Peterson (Max MacKenzie) tells his best friend Sarah (Katerina Eichenberger) that he plans on committing suicide. After promising to tell no one, Sarah finds it upon herself to try to stop him, taking any means necessary. 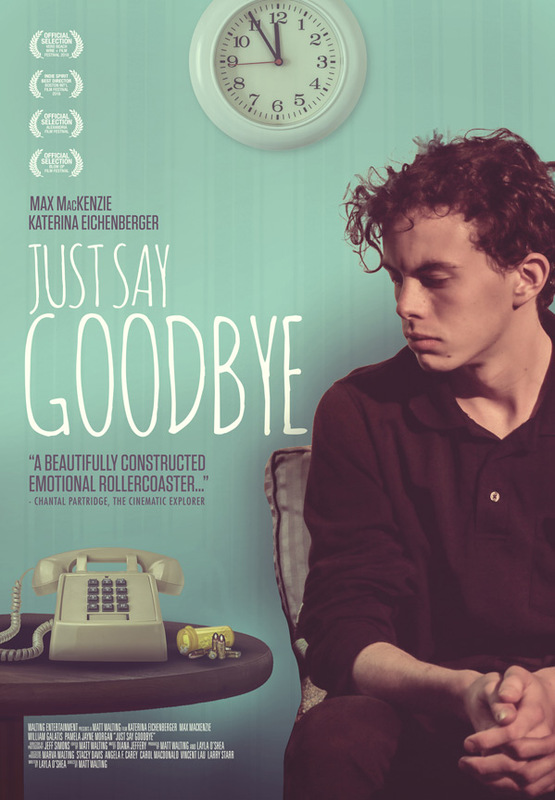 Just Say Goodbye is directed by young American filmmaker Matt Walting, making his feature directorial debut with this film. The screenplay is written by Layla O'Shea. This first premiered at the NewFilmmakers Film Festival in New York in 2017. Leomark Studios will release Walting's Just Say Goodbye in select US theaters starting May 10th next month. For more info, visit the film's official website. Who's interested in this one?